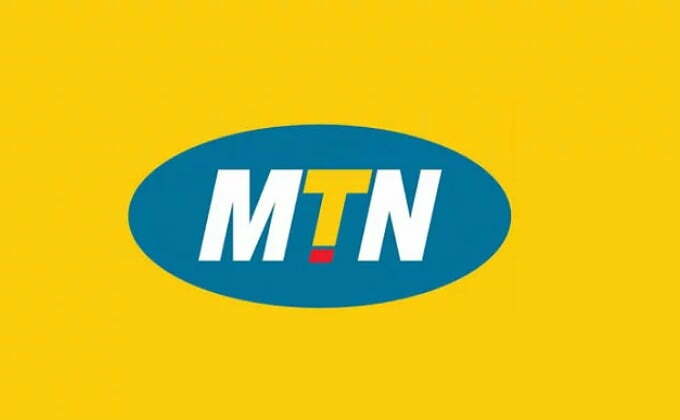 MTN Nigeria Recruitment 2019-2020 and Application Steps. Improve Network performance by providing real time and prompt resolution to all network faults on MTNN network. Activate newly integrated nodes (core element) after normal working hours, weekends, and public holidays to ensure optimal network performance and meet business objectives and plans at all times. Carry out network management; faults detection, troubleshooting, escalation and resolution of all core and transmission nodes. Detect, diagnose and acknowledge alarms from all core and transmission Nodes or Elements. Ensure real time performance management of all core and transmission network elements. Provide daily reports and make recommendations aimed at improving network quality. Act as interface and provide access reference number to MTN Contractors, Operational Maintenance Centre Engineers and other GSM/PTOs Companies for planned work and change request. Provide security information to all regional security offices across the country to protect all MTNN equipment’s through network surveillance. Provide ideas and feedback on software tools, procedures and improvements to NSMC functionality. Provide ideas and feedback on status of the network to the relevant planning units based on specific KPIs such as Processor Load etc. Ensure proper management and implementation of all network changes according to the organization process and procedures. Ensure NSMC Shift Hand-Over Procedure is strictly adhered to. Provide regular updates on MTNN performance and other network issues to all the stake holders (management, escalation unit, sales and distribution, customer relations, marketing and other relevant departments in the organization). First degree in Electrical Electronics /Computer Science/Engineering or a related field. Experience in light current, telecommunications or a related field. Assist with project delivery within budget (time and financial) and within defined quality criteria. Provide Programme Manager with up-to-date financial position on all projects. Gather project status and assist in providing up to date information on all projects (where applicable) to Program Manager. Track and monitor identified risks and proactively escalate them in accordance with related escalation rules (where applicable) and procedures. Provide professional inputs and advice to the Manager in developing a project management strategy and plan. Create and monitor audit trails of all CEX implemented changes. Conduct CEX change readiness assessments, evaluate results and present findings to the CEX change board. Manage relationships with key customer impacting business units for service efficiency. Get information and insights from the “voice of the Customer” initiatives through various segmented customer engagement programs i.e. Customer Focus Group Sessions, Customer Forums, Online Social media . To perform strategic planning functions and maintain planning models. Participate in the review of Business Processes (headcount, process optimisation, etc. ), to drive efficiency gains within Divisional budget year-on-year. Review MTNN revenue and financial planning models, provide market share estimates based on market data and develop MTNN five year revenue and related financial projections. Review trends in the telecommunications industry and provide insight into issues and events that could be factored into the business planning process as it affects MTNN operations and services. Develop internal and external sources of intelligence on a continuous basis and integrate /manage data and information from diverse sources to guide strategic plans and decision processes within the Marketing Division. Responsible for the end-to -management of applications supporting Payment Services Bank. Act as Interface with various financial institutions and third parties in the assurance, delivery and daily operations of payment financial systems and services. Participate in the review of business processes to drive cost/process efficiencies. Develop and manage processes to ensure required KPIs for optimal customer experience are met. Influence, support and assure the design, development, maintenance of self-healing capabilities into payment service transactions in compliance with regulatory requirements whilst ensuring good customer experience. Own and influence the changes on payment services to ensure seamless transition of changes to a live environment without negative impact on customer experience. Assist in developing payment services application development and management frameworks, processes and procedures in line with the MTN standards and in alignment with MTNN’s corporate goals and objectives. Support in the analysis and design of payment services applications based on business, technical and system requirements and oversee the implementation payment services solutions, ensuring the minimization of manual touch points in the application. Monitor and maintain the performance of payment services applications within the business, ensuring constraints and new requirements are documented and updates are created accordingly. Set up and manage processes to ensure full compliance with all regulatory requirements in payment financial services. Manage the operations of payment services from both a node/service performance investigation as well as an optimization perspective. Manage, test and verify all new functionalities. Support planned strategy for the successful delivery of MTN Group and MTNN transformation initiatives focusing on Customer centricity. Drive an increase in MTNN’s PSB Net Promoter Score. Provide technical support and assistance to multiple Application teams, troubleshooting, analyzing causes, tuning performance and conducting user acceptance tests on payment services applications. Interface between IS Infrastructure Team and IS Applications Support Teams to ensure optimal capacity planning. Interface between IS Service Management and the IS Applications teams on customer related business engagements and issues. Support and influence external partners and essential support departments across MTNN’s business units to deliver a seamless pre-sales and post-sales service experience. Build and nurture strategic relationships with the regulator(s) at the appropriate level to ensure smooth and seamless operations of the PSB service. Influence and engage with vendors and managed service operation providers to ensure right competence by support staff. We cherish your opinion and we look forward to it. Hence, if you need us to feed you with more updated information at the right time about MTN Nigeria Recruitment 2019, kindly provide us your phone number and email Address in the comment box below.